This guide describes the UNR Libraries' accessibility-related policies and services, as well as university and selected community services. Please contact us at 775-682-5625 with any questions. Fox, Vance. Mathewson-IGT Knowledge Center, Nighttime. 2008. Photograph. Campus Images, UNR Digital Collections, University of Nevada, Reno. Web. 3 May 2011. 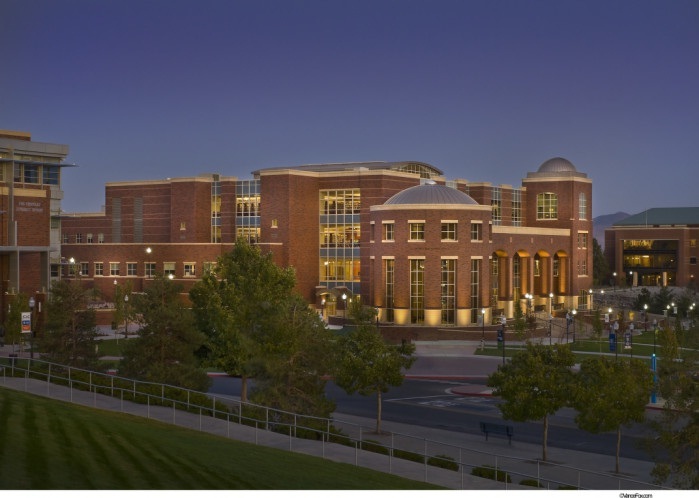 The University of Nevada, Reno Libraries endeavor to provide assistance and instruction which lead users to independent research, regardless of their abilities. The Libraries are committed to equal access as articulated in the Americans with Disabilities Act (ADA). Patrons with disability-related needs are encouraged to request accommodations. The Library provides a positive environment in which an individual's needs can be accommodated and privacy respected. UNR EIT Policy - The University of Nevada, Reno is committed to ensuring the accessibility of its information technology resources and services as required by the Americans with Disabilities Act of 1990 (ADA) and Section 504 of the Rehabilitation Act of 1973 (504).